"Put me and this sniper rifle anywhere up to and including one mile of Adolf with a clear line of sight, pack your bags, fellas - war's over!" 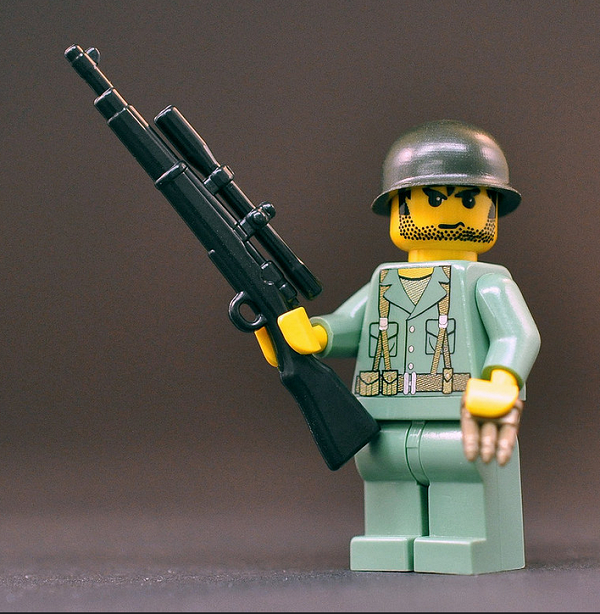 The sniper rifle of choice in WWII and Korea, is the BrickArms M1093 Springfield USMC Sniper Rifle is a legend of balance and power in the hands of your minifig! Featuring an 8x UNERTL scope for even deadlier accuracy, no exposed enemy fig in range of the BrickArms M1093 Springfield USMC Sniper Rifle is safe!